The day was full of different team-building activities, beginning with breakfast at PHS attended by students and family. After breakfast, the group headed to the square to take pictures with the signs before getting on the bus for Ames. “The morning of jazz champs is always super fun and exciting. We get to spend time with people that we wouldn’t hang out with usually. We get to bond over stories that we’ll all remember, pictures that we’ll always have, and do it all in a fun, more social way,” said senior vibes player Troy Miller. The band performed once in the day and then earned their spot to play in the night show. The Pella Jazz One has made the night show consistently over the last forty years. 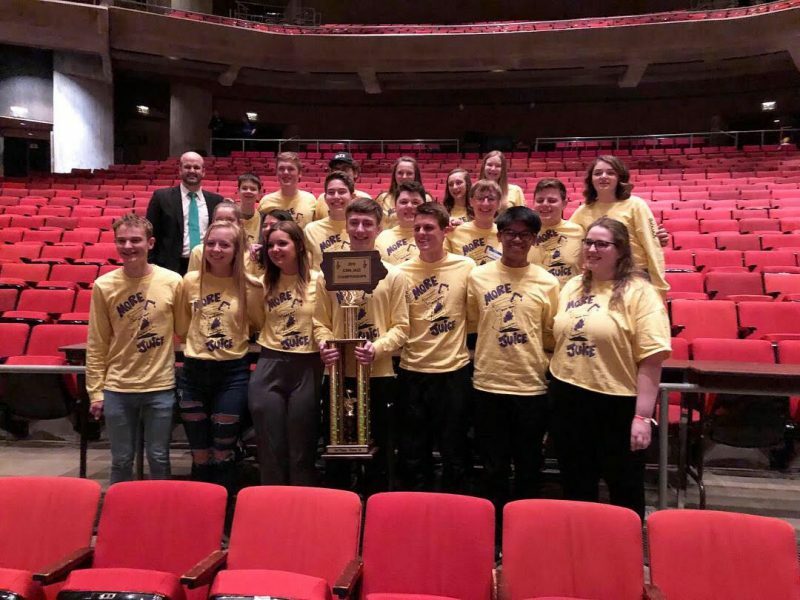 After two high-quality performances, great team building, and enough juice, Pella High’s Jazz One earned the championship trophy, perfectly ending the day. The group is very glad to bring home the first championship trophy in four years.